Be the first to rent this all newly renovated 1930s Log Cabin in Corea. This beautiful setting in the pines is located at the entrance to the lovely village of Corea, just a short walk to the Harbor. What started out to be a rustic bunkhouse for the grandchildren grew into this beautiful two bedroom, one bath vacation cottage. It includes kitchen / living room, laundry, two decks, Direct TV, DVD, WiFi and phone. It has all new floors and knotty pine walls and ceilings. In fact, the only thing that is not new is the 1930s log facade on the front. The fully equipped kitchen is loaded with everything you will need for an enjoyable vacation on the coast. The large front deck has a grill, lobster cooker and deck furniture. The rear deck provides a more secluded setting. Both decks can be gated for a secure play area for your little ones. The master bedroom has a queen size bed. The 2nd bedroom has a bunk bed with twin on top and full on bottom. The laundry room has a washer and dryer. Books, puzzles, games and a DVD library are also included. A Pack&Play crib with bedding and a portable high chair are also available. Great Cabin in the very nice town of Corea !!! This was a wonderful place for our 25th anniversary getaway from Michigan . Corea is a little off the beaten path, but it is a very cool lobster fishing harbor. Very peaceful place to relax, with plenty to do in the area. Our favorite place was Schoodic Point which is only a few miles down the road. Acadia National Park & Bar Harbor are also a very nice ride not too far away. The cabin was awesome !!! Nicer than we expected. It had all the accommodations we needed...plus some. It was also nice to talk with Jim, the owner..we had a nice talk about the history of the area and could of talked for hours. We recommend this place and we look forward to coming back someday. Beautiful place to stay. Pictures don’t do the justice. Great location. Very peaceful. Kitchen well stocked. A lot to explore in the “backyard” when low tide. Loved everything about this place. Strongly recomended to anybody looking to get away from daily life. We’ll appointed, comfortable cabin a short drive from many local attractions. Family friendly and relaxing. It is was our second time visiting this place. And we try to go somewhere new every year. That fact alone should give you a hint as to the quality of our vacation. Perfect is the only word to describe it. Home away from home with every possible necessity included. We had late relaxing breakfasts on the deck with bird watching, hiked and explored the Acadia, spent a couple romantic nights at Bar Harbor and cooked our own lobster when not out. We didn’t have kids with us, so it was an adult only vacation. Highly recommend for all outdoor-sy people:) Thank you, Jim and Barb, for making our stays unforgettable! 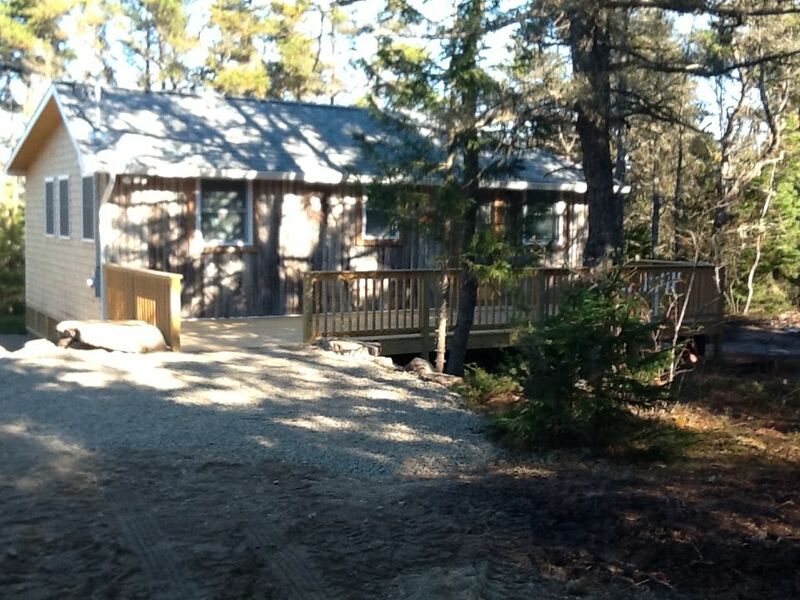 Lovely, fully equipped cabin in a quiet and beautiful location. This is a great place to stay in Maine. The town of Corea has a lot to explore. Bring your bikes to explore, hiking shoes, and water shoes (rocky and barnacle covered beaches) to check out the local scenery. The Schoodic portion of Acadia is not far away and has much to check out. The cabin is equipped with everything you could need and was comfortable for our family of four. With the full kitchen you can prepare your own meals and enjoy them on either the front or back porch as you enjoy the picturesque landscape that surrounds the cabin. Was perfect for our family’s ME vacation for both location, set-up, and the wealth of information provided in the cabin. Thank you to our hosts for such lovely accommodations. Highly recommend this cabin.